If you were to ask me what cooking tool I could not live without, I would tell you it’s my Mexican-style lime squeezer. Limes are one of the most iconic ingredients of Mexican cooking. Not lemons. Limes! To me, limes have a much more concentrated citrus punch, and I like the fresh juice. I have a deep disregard for pre-squeezed lime juice bottles sold at the stores; they taste like airplane food. 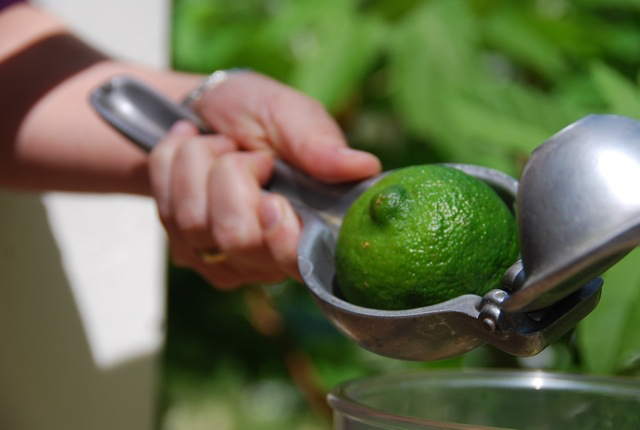 What’s complicated about squeezing a fresh lime? Nothing much really. But when you use as many as I do, this squeezer is a delight: gets as much juice as the lime has in a snap, feels heavy and powerful in your hand, and it is easy to maintain and keep clean. 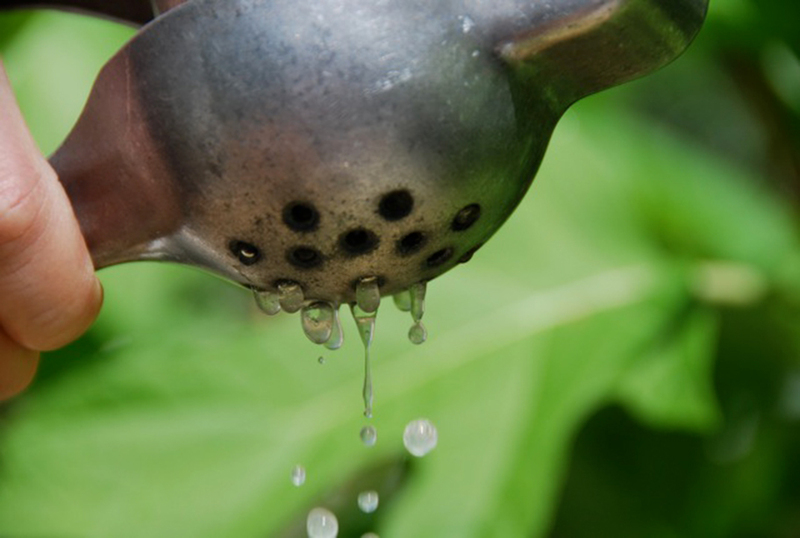 And squeeze…look at all the juice coming out! If you have limes or lemons that are tough and resist being juiced, here’s a hint: roll the lime or lemon, pressing down firmly with the palm of your hand, on a hard countertop until the pulp is softened. This will losen it up and make it easier to squeeze. 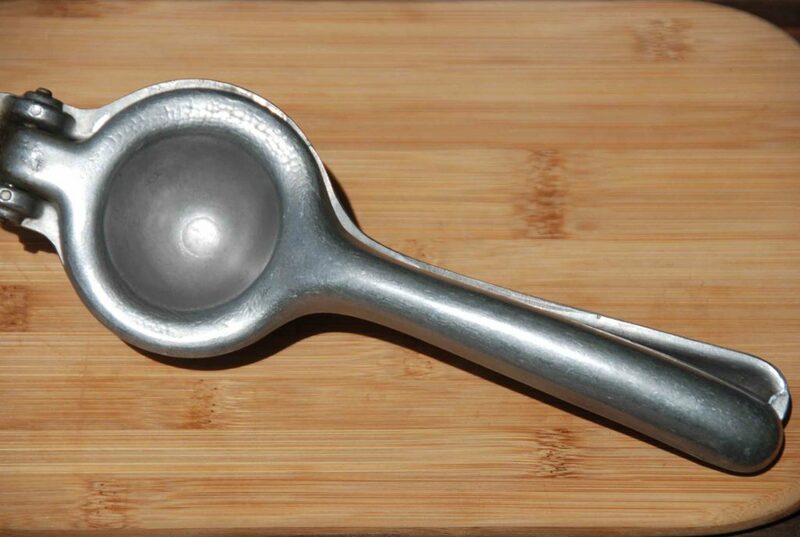 Fortunately, cast aluminum Mexican-style lime squeezers like mine are pretty ubiquitous these days and can be found in many department stores and big box stores that sell cookware. If you run into trouble finding one there, a boutique kitchen store is a good bet, or you can look on the Internet. You will find all kinds of lime squeezers, colorful plastic ones, round ones, electric ones, even squeezers that resemble pliers. Any of these will work, but I stand by my handheld lime squeezer. It works like new even though I’ve had it forever! What’s more, it has bigger holes than usual so more juice comes out faster. Plus, my mom gave it to me, it aged with her and now it is aging with me. Retire it to a position of honour and buy a plastic one. The acid in lime eats away at the aluminum adding it to your food. those are better than the ones coated in paint, because the acidity of the limes ends up eating up the paint and yes, they need to be replaced after a couple of years, if they last that long! another tip I like for juicing lemons and limes – 5 seconds in the microwave, just stick the whole fruit there – it is amazing how that works, the juices will flow like crazy once you cut it! I couldn’t make Aquachile without my juicer! These are easy to source in the United States.I have found many items at Walmart there is a brand called Imusa that has these lime squeezers and many other traditional Mexican implements. the “chef’n” line of juicers. They have a little gear mechanism that multiplies the squeeze force of your hand rather than just a simple hinge found on most juicers. We have their lemon juicer, but it really works well with limes too. They are available from many kitchen gadget stores or online. In the US the most similar tool would be the metal one sold by OXO- the handles aren’t as long but it does an excellent job with limes and lemons. 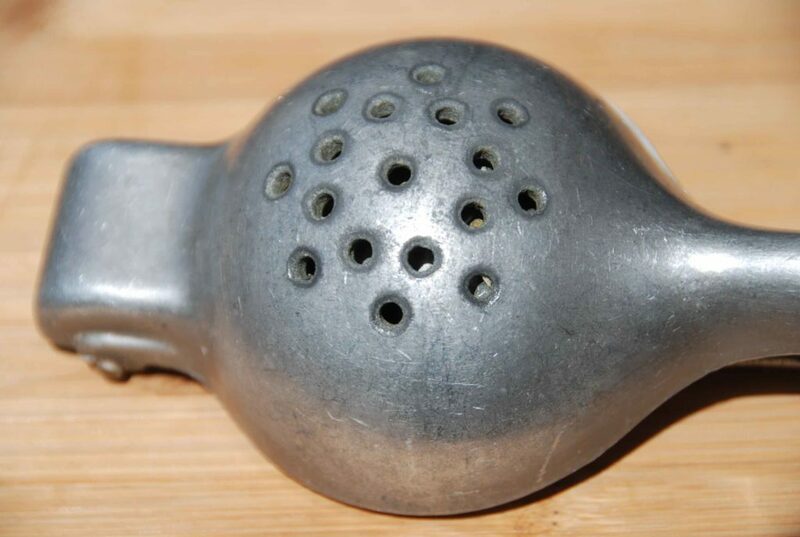 I love using kitchen tools from my mother and grandmother too. I have a case iron skillet that was my grandmother’s when she first married, so it must be over 80 years old! 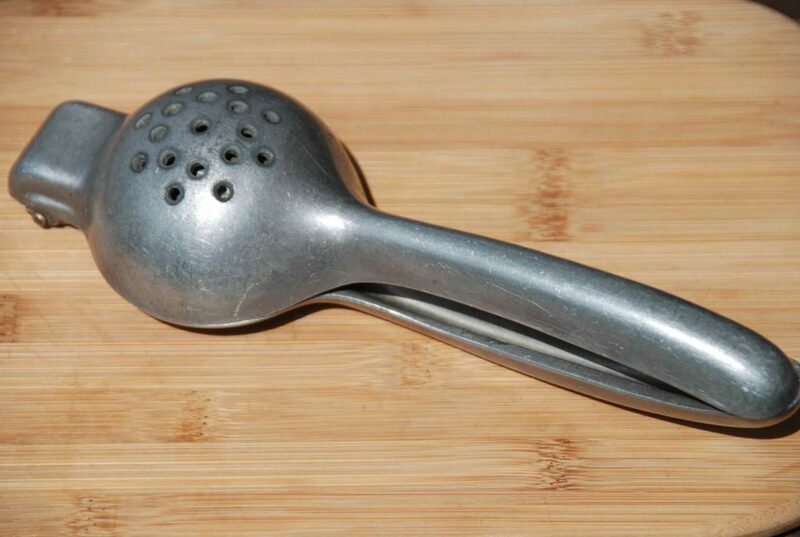 I’m glad you use your mother’s lime squeezer!